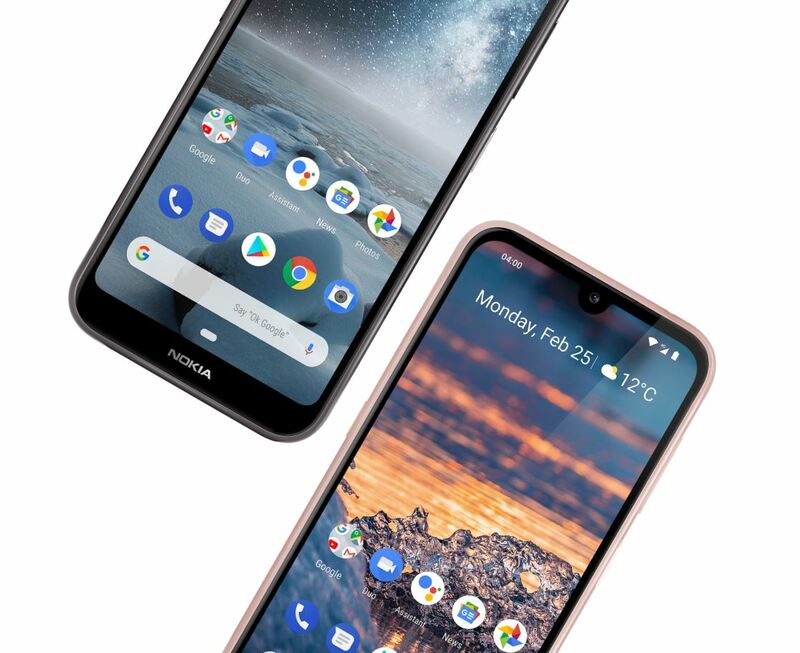 Nokia has launched many devices at its MWC 2019 and along with them, there are two new entry-level handsets called the Nokia 4.2 and Nokia 3.2 which are budget-friendly devices. Along with these HMD Global has also announced its flagship Nokia 9 PureView smartphone with five rear cameras and also a Nokia 210 feature phone which will be available soon in the market. The Nokia 4.2 Comes with a 5.71-inch HD+ waterdrop notch display with a glass back and a rear-mounted fingerprint scanner. Under the hood, there is an Octa-Core Snapdragon 439 SoC coupled with 2GB / 3GB RAM with Adreno 505 GPU. The onboard storage is 16GB / 32GB which can be extended further up to a maximum of 400GB via MicroSD card slot. The device will come out of the box with Android 9.o Pie operating system and is available in Single and Dual SIM variants. On the camera front, there is an 8 MP selfie camera while on the rear, we can find a 13MP main sensor along with LED flash and a secondary 2MP camera. It will be powered with a 3000mAh battery on the back and supports dual 4G VoLTE connectivity. The handset will be available in Black and Pink Sand color options and is priced at $169 (approx, Rs. 12,000) for the 2GB variant while the 3GB variant is priced at $199 (approx Rs 14,000) and will be available from April 2019. The Nokia 3.2 comes with a big 6.26-inch HD+ (720 x 1520 pixels) display with a 19:9 aspect ratio and comes with support for a Hybrid Dual SIM connectivity. The Nokia 3.2 will be powered by a Qualcomm Snapdragon 429 12nm SoC coupled with 2GB or 3GB of RAM and Adreno 504 GPU. The handset will be offered in 16GB and 32GB storage option with extendable storage up to 400GB via microSD card slot. SOn the front, Nokia included a 5MP camera while on the rear it has a 13MP camera sensor. There is a 4000mAh battery to power the smartphone and will be available in Black and Steel color options priced at $139 (approx Rs. 9900) for the 2GB variant and $169 (approx Rs. 12,000) for the 3GB variant, which will be available from early May 2019. Comment in the section below if you have more queries and stay tuned to SmartTechh for more news and updates.